THE accuser of Misamis Oriental Gov. Yevgeny Vincente Emano and his brother-in-law and running mate President Elipe yesterday revealed that he has asked the Office of the Ombudsman to look into his complaint again. Ernesto Molina, a former “job order” worker at city hall, assailed the ombudsman’s ruling, arguing that the dismissal of the complaint was on the respondents’ assertion that the council running the Misamis Oriental Integrated Sports Complex is a private entity. Molina filed a complaint for nepotism, specifically for violation of the Anti-Graft and Corrupt Practices Act, the Code of Conduct and Ethical Standards for Public Officials and Employees, and Article 244 of the Revised Penal Code (unlawful appointments), malversation, grave misconduct, and grave abuse of authority, on Oct. 4, 2018 complaint. The ombudsman dismissed the complaint on July 27, 2018, a copy of which was made public by the capitol only this week. Molina said what the capitol official did not reveal was that he filed a motion for reconsideration this March 11. He said he received a copy of the 2018 resolution just this Feb. 28. In his 12-page appeal, Molina, asked the ombudsman to review its decision and bring the case against Emano and provincial board member President Elipe to the Sandiganbayan. Elipe, a former Cagayan de Oro councilor, was appointed as general manager of the sports complex in 2016. President Duterte appointed him to the provincial legislature last year as a replacement of provincial board member Mario Emano who died in November 2017. In his motion for reconsideration, Molina argued that the sports facility is jointly owned by the capitol, city hall and Department Education, and that the council running it is composed of representatives of the sports complex’s owners. He asserted that the entity is private, and that Elipe’s 2016 appointment as the facility’s general manager by Emano, his brother-in-law, was a nepotism case. Molina asserted that Elipe’s appointment as general manager was “nepotic”given that the respondents are relatives by affinity within the second degree. Worse, according to Molina, revenues of the sports complex were not remitted, deposited and accounted. 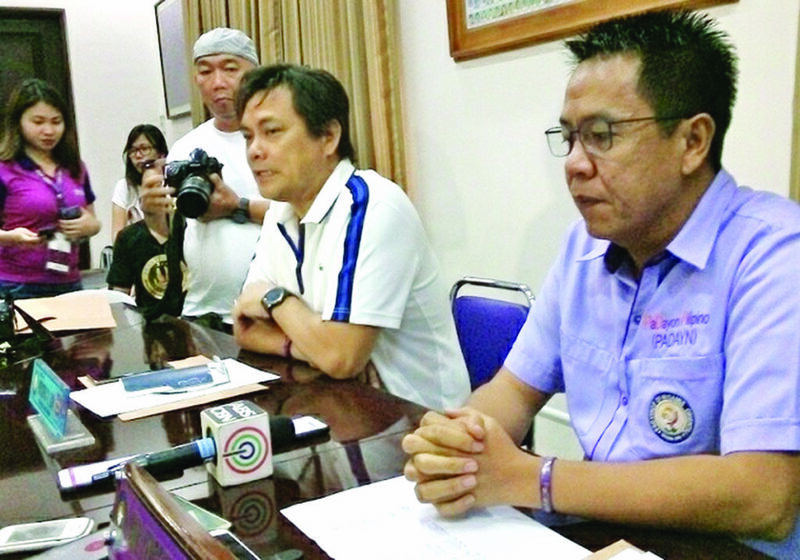 “The action of respondents Emano and Elipe caused undue injury to the local government of Misamis Oriental, the city of Cagayan de Oro, and the Deped [Department of Education] as funds collected for the use of the sports facilities and other government-owned infrastructure within the sports center were not remitted, deposited and accounted,” Molina alleged. In a six-page resolution by the ombudsman, graft investigator and prosecutor Rosemil Robles Banaga stated that Molina failed to show sufficient evidence to substantiate his allegations of violation of the anti-graft law against Emano and Elipe. Banaga also stated that the evidence on record did not satisfactorily establish that the sports center is public in character. Capitol officials have maintained that the sports complex is not government-owned although the facility is being jointly managed by local governments of Misamis Oriental and Cagayan de Oro, and the Department of Education. Emano, during a news conference, said the sports center has been operating as a private enterprise since 1976, the reason why it has no government accountable forms, not subject to audit by the Commission on Audit, and does not receive funding of any form from the national or local governments. The capitol officials blamed Molina’s complaint on their political enemy, Mayor Oscar Moreno, even as they pointed out that their accuser used to work at city hall. They accused Molina of falsifying documents. The complaint, according to Emano, was a “desperate move” on Moreno’s part to subject him and his brother-in-law to political harassment, apparently because of the mayor’s legal problems which the latter also blames on the Emanos.